Pullbox Previews: Deadpool #34 – Party like it’s 1992! The 90’s – a simpler time. When the action was extreme and pouches were really in style. 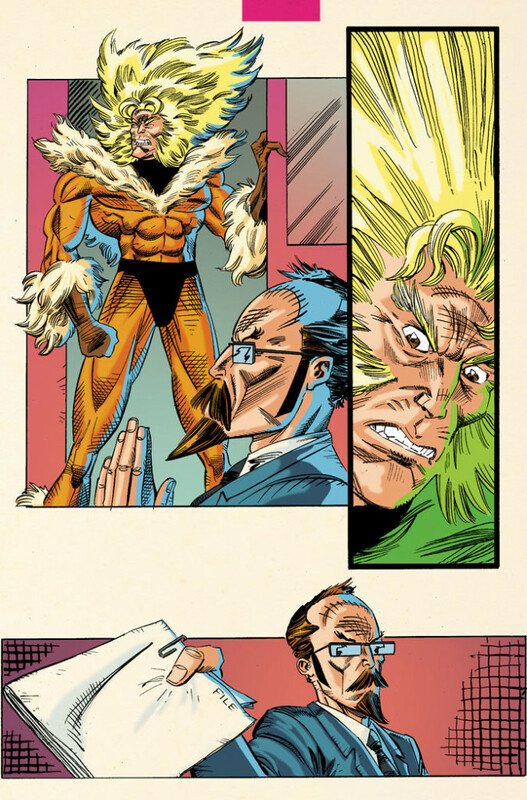 Today, Marvel is proud to present your first 90s fueled look at DEADPOOL #34 – a tie-in to Original Sin! 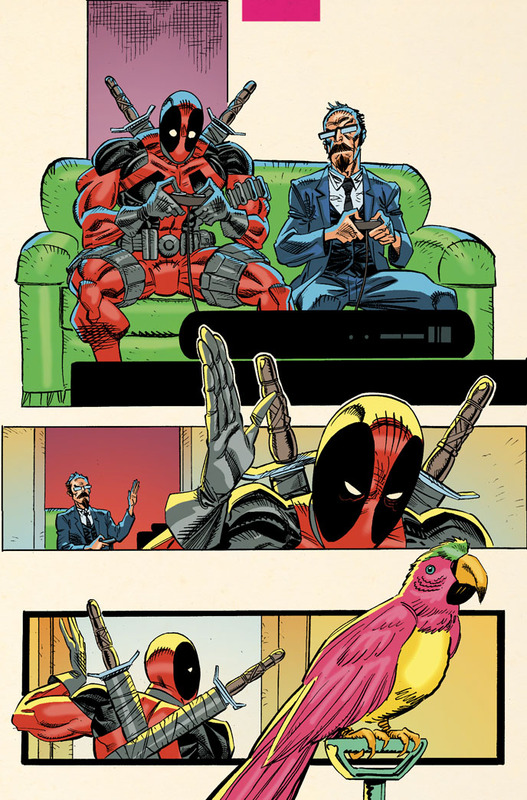 Chart topping writers Brian Posehn & Gerry Duggan along with artist Scott Koblish bring the truth about Deadpool’s past to light as the Merc With a Mouth’s Original Sin adventure comes to its Earth-shattering conclusion! See the darkest secrets of Deadpool’s past first hand as we flashback to the glory days of 90s comics. Guest-starring the biggest comic stars of the 1990s – 90s Sabretooth, 90s Alpha Flight and 90s artwork! 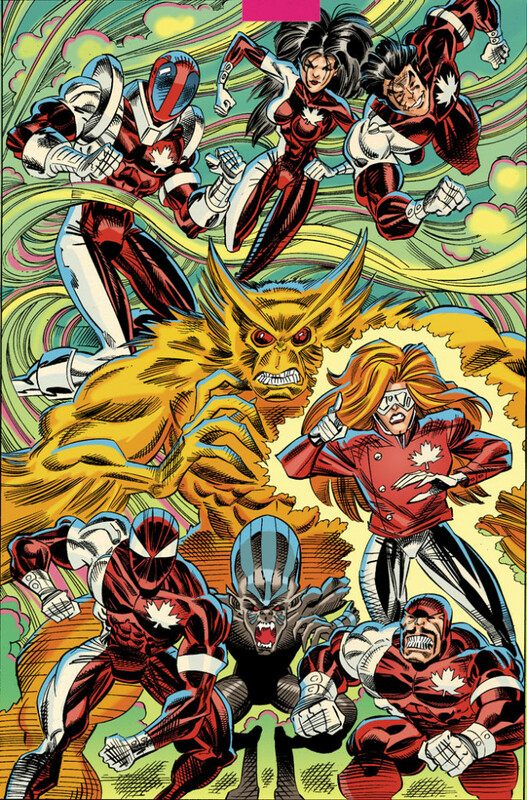 Plus, what 90s comic would be complete without a special cover treatment? 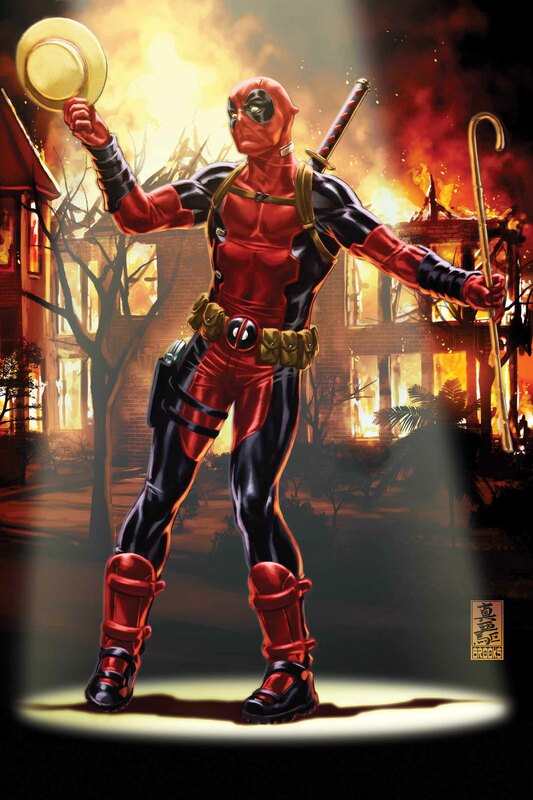 Don’t miss the special 3D (Dashingly Dancing Deadpool) motion variant cover by artist Mark Brooks when DEADPOOL #34 hits comic shops in September!